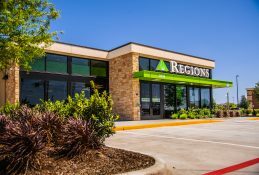 BIRMINGHAM, Ala.– Regions Financial Corporation (NYSE:RF) today announced earnings for the third quarter ended September 30, 2018. The company reported net income available to common shareholders from continuing operations of $354 million, a 20 percent increase compared to the third quarter of 2017. Earnings per diluted share from continuing operations were $0.32, a 28 percent increase. Total revenue grew 6 percent while pre-tax pre-provision income grew 2 percent over the prior year. Adjusted pre-tax pre-provision(1) income increased 15 percent. 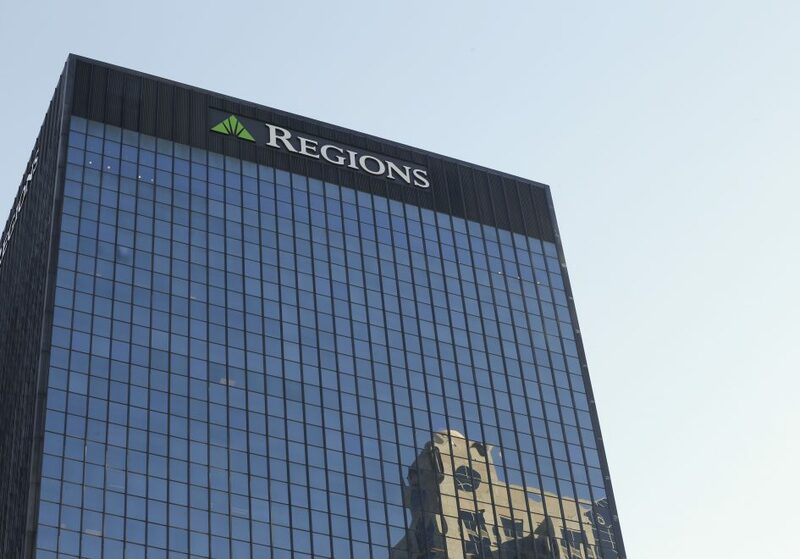 Regions also completed the sale of its Regions Insurance subsidiary and affiliates during the third quarter. 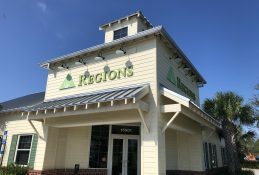 The after-tax gain associated with the transaction was $196 million and is reflected in Regions’ consolidated statements of income as a component of discontinued operations. As a result, the company reported total third quarter net income available to common shareholders of $548 million, and total earnings per diluted share of $0.50. * 3Q18 discontinued operations includes a $196 million gain associated with the sale of Regions Insurance. Net interest income and other financing income increased 2 percent, and net interest margin was 3.50 percent, up 1 basis point. Non-interest income increased 1 percent on a reported and adjusted basis(1). Non-interest expense increased 1 percent, but decreased 3 percent on an adjusted basis(1). Average loans and leases increased 1 percent and totaled $81.0 billion; adjusted(1) loans and leases increased 2 percent. Consumer lending balances increased 1 percent on a reported and adjusted basis(1). Business lending balances increased 2 percent. Average deposits decreased 1 percent and totaled $93.9 billion. Annualized net charge-offs increased 8 basis points to 0.40 percent of average loans. Non-performing loans, excluding loans held for sale, decreased 8 basis points to 0.66 percent of loans outstanding. Allowance for loan and lease losses decreased 1 basis point to 1.03 percent of total loans. Allowance for loan and lease losses as a percent of non-performing loans increased to 156 percent from 141 percent. Business services classified loans decreased 7 percent while total business services criticized loans increased 6 percent, and total troubled debt restructured loans, excluding loans held for sale, increased 3 percent. Recorded an after-tax gain of $196 million associated with the sale of Regions Insurance subsidiary reflected in discontinued operations. Net interest income and other financing income increased 5 percent; net interest margin increased 14 basis points. Non-interest income increased 8 percent, and 9 percent on an adjusted basis(1). Non-interest expenses increased 8 percent, and 1 percent on an adjusted basis(1). Average loans and leases increased 2 percent, and 3 percent on an adjusted basis(1). Consumer lending balances were relatively unchanged on a reported basis and increased 3 percent on an adjusted basis(1). Business lending balances increased 3 percent. Average deposits decreased 3 percent. Annualized net charge-offs increased 2 basis points to 0.40 percent of average loans. Non-performing loans, excluding loans held for sale, decreased 30 basis points to 0.66 percent of loans outstanding. Business services criticized loans decreased 31 percent including a 51 percent decrease in business services classified loans, and total troubled debt restructured loans, excluding loans held for sale, decreased 36 percent. * Based on income taxes at a 25.0% incremental rate beginning in 2018, and 38.5% for all prior periods. Tax rates associated with leveraged lease terminations are incrementally higher based on their structure. ** Items represent an outsized or unusual impact to the quarter or quarterly trends, but are not considered non-GAAP adjustments. 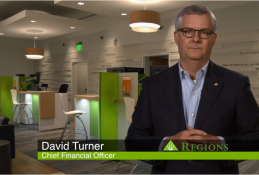 Regions continues to take actions with respect to its Simplify and Grow strategic priority, including streamlining its structure and refining its branch network while making investments in new technologies, delivery channels and other drivers of growth. The company incurred $5 million of severance expense related to this continuous improvement process during the third quarter, as well as $4 million of expenses associated with previously announced branch consolidations. 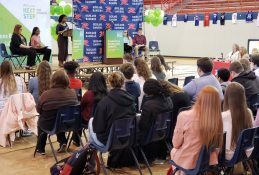 As noted, Regions also contributed $60 million to the Regions Financial Corporation Foundation during the third quarter. * Changes in corporate income tax rates effective in 2018 resulted in a decrease to the taxable equivalent adjustment. ** These market value adjustments relate to assets held for certain employee benefits and are offset within salaries and employee benefits expense. Total revenue of approximately $1.5 billion in the third quarter increased 2 percent on a reported basis and 1 percent on an adjusted basis(1)compared to the prior quarter. Net interest income and other financing income increased $16 million or 2 percent over the prior quarter while net interest margin rose 1 basis point to 3.50 percent. Net interest margin and net interest income and other financing income benefited from higher interest rates partially offset by increased wholesale funding costs. Higher average loan balances also contributed to the increase in net interest income and other financing income. Further, one additional day in the quarter benefited net interest income and other financing income by approximately $5 million, but reduced net interest margin by approximately 2 basis points. Non-interest income increased $7 million or 1 percent on a reported basis, and $4 million or 1 percent on an adjusted basis(1),as increases in service charges, market value adjustments on employee benefit assets and other non-interest income were partially offset by decreases in capital markets and mortgage income. The increase in other non-interest income was attributable primarily to a net $5 million increase in the value of certain equity investments and $2 million in net gains associated with the sale of low income housing tax credit investments. Other non-interest income also benefited from a $4 million decrease in net impairment charges reducing the value of certain operating lease assets. Service charges increased $4 million or 2 percent, reflecting continued account growth. Card & ATM fees as well as wealth management income remained relatively unchanged during the third quarter. Capital markets income declined $12 million or 21 percent from a record second quarter primarily attributable to lower merger and acquisition advisory services. Mortgage income decreased $5 million or 14 percent primarily due to hedging and valuation adjustments on residential mortgage servicing rights. During the quarter, the company completed the purchase of rights to service approximately $3.4 billion of mortgage loans. Increased servicing income is expected to help offset the impact of lower mortgage production associated with rising interest rates and lack of housing supply. Total revenue increased 6 percent on a reported and adjusted basis(1) compared to the third quarter of 2017. Net interest income and other financing income increased 5 percent. Net interest margin increased 14 basis points. Net interest margin and net interest income and other financing income benefited primarily from higher interest rates. Higher average loan balances combined with a mix shift within the consumer loan portfolio into higher yielding products also contributed to the increase in net interest income and other financing income. This increase was partially offset by additional wholesale funding and less favorable credit-related interest recoveries. Non-interest income increased 8 percent on a reported basis and 9 percent on an adjusted basis(1) driven primarily by growth in capital markets income, card and ATM fees, wealth management income, service charges and other non-interest income. The increase in other non-interest income includes net gains associated with sale of low income housing tax credit investments and net positive valuation adjustments associated with certain equity investments. Other non-interest income also benefited from a $9 million decrease in net impairment charges reducing the value of certain operating lease assets. Capital markets income increased 29 percent reflecting higher merger and acquisition advisory fees, customer interest rate swap income, and fees generated from securities underwriting and placement. Card and ATM fees increased 8 percent primarily due to higher interchange revenue associated with increased transactions and new account growth. Wealth management income increased 5 percent led by growth in investment services income. Service charges income increased 2 percent reflecting continued customer account growth. 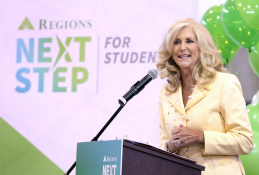 Non-interest expense increased 1 percent compared to the second quarter driven primarily by a $60 million contribution to the Regions Financial Corporation Foundation during the third quarter. On an adjusted basis(1), non-interest expense decreased 3 percent primarily due to a reduction in salaries and benefits and lower expense associated with Visa class B shares sold in a prior year. The company also benefited from a modest reduction in most expense categories during the quarter. Excluding the impact of severance charges, salaries and benefits decreased $9 million or 2 percent reflecting continued staffing reductions and lower production-based incentives. Consistent with the company’s efforts to rationalize and streamline its organization, staffing levels declined by 457 full-time equivalent positions or 2 percent from the prior quarter. The company’s reported third quarter efficiency ratio was 62.6 percent and 58.1 percent on an adjusted basis(1), down approximately 230 basis points from the prior quarter. The effective tax rate was 18.7 percent in the quarter. The full-year 2018 effective tax rate is expected to be approximately 21 percent. Non-interest expense increased 8 percent compared to the third quarter of the prior year. On an adjusted basis(1),non-interest expense increased 1 percent primarily due to higher salaries and benefits and professional fees partially offset by lower occupancy and other real estate expenses that were elevated in the prior year as a result of hurricane-related charges. Excluding the impact of severance charges, salaries and benefits increased $5 million or 1 percent driven primarily by merit increases and higher production-based incentives, partially offset by staffing reductions. 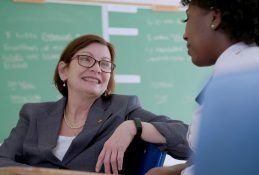 Staffing levels declined by 1,522 full-time equivalent positions or 7 percent from the third quarter of the prior year. * 2018 average residential first mortgage balances include the impact of a $254 million loan sale during the first quarter of 2018. Average loans and leases increased 1 percent to $81.0 billion in the third quarter. Adjusted(1) average loans and leases increased $1.2 billionor 2 percent reflecting broad-based growth across the business and consumer lending portfolios. Total new and renewed loan production remained strong compared to the second quarter. Average balances in the business lending portfolio increased $833 million or 2 percent. Growth in commercial and industrial loans was broad-based across the corporate and middle market portfolios, aided by growth within specialized lending. Owner-occupied commercial real estate loans remained relatively stable, and investor real estate loans increased $301 million or 5 percent driven primarily by growth in term lending. Adjusted(1) average consumer loans increased $365 million or 1 percent. Indirect-other consumer loans increased 17 percent as the company continued to expand and grow its point-of-sale portfolio. Residential first mortgage balances increased 1 percent, and indirect-vehicle loans increased 3 percent, offsetting home equity balance declines of 3 percent. Average loans and leases increased 2 percent compared to the third quarter of 2017, and adjusted(1) average loans increased $2.3 billion or 3 percent. 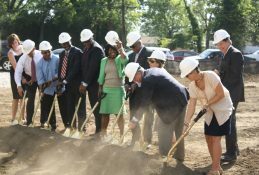 The company generated a 3 percent increase in total new and renewed loan production. Average balances in the business lending portfolio increased $1.4 billion or 3 percent as growth in commercial and industrial loans was partially offset by declines in owner-occupied commercial real estate and investor real estate loans. Adjusted(1) average consumer balances increased $966 million or 3 percent as solid growth in residential first mortgage, indirect-other consumer, indirect-vehicle, consumer credit card, and other consumer loans was partially offset by declines in home equity balances. Total average deposit balances decreased 1 percent to $93.9 billion reflecting seasonal declines in Consumer and Corporate segments, as well as the impact of the company’s continued deposit optimization efforts. Average deposits in the Consumer and Corporate segments decreased approximately 1 percent and 2 percent, respectively driven primarily by seasonal declines. Average deposits declined approximately 3 percent in the Wealth Management segment and included the impact of ongoing strategic reductions of certain collateralized deposits. Average deposits in the Other segment increased modestly as the strategic reduction of retail brokered sweep deposits has stabilized. Total average deposit balances decreased 3 percent from the prior year as growth in average Consumer segment deposits was primarily offset by strategic reductions in Wealth Management and Other segment deposits. Corporate segment deposits decreased $1.0 billion or 4 percent primarily due to customers using liquidity to pay down debt or invest in their businesses. * Excludes guaranteed residential first mortgages that are 90+ days past due and still accruing. ** Business services represents the combined total of commercial and investor real estate loans. Overall asset quality remained stable during the third quarter. Total non-performing loans, excluding loans held for sale, decreased to 0.66 percent of loans outstanding, the lowest level since 2007, and business services classified loans decreased 7 percent. Business services criticized loans as well as total troubled debt restructured loans increased modestly. Annualized net charge-offs increased 8 basis points to 0.40 percent of average loans. The provision for loan losses approximated net charge-offs, and the resulting allowance for loan and lease losses totaled 1.03 percent of total loans outstanding and 156 percent of total non-accrual loans. While overall asset quality remains benign, volatility in certain credit metrics can be expected, especially related to large-dollar commercial credits. Annualized net charge-offs increased 2 basis points compared to the third quarter of 2017, while the allowance for loan and lease losses as a percent of total loans decreased 28 basis points. Total non-performing loans, excluding loans held for sale, decreased 29 percent and total business services criticized loans decreased 31 percent, including a 51 percent decline in classified loans. In addition, total troubled debt restructured loans, excluding loans held for sale, decreased 36 percent. Under the Basel III capital rules, Regions’ estimated capital ratios remain well above current regulatory requirements. The Tier 1(2) and Common Equity Tier 1(2) ratios were estimated at 11.0 percent and 10.2 percent, respectively, at quarter-end under the phase-in provisions. In addition, the Common Equity Tier 1 ratio(1)(2) was estimated at 10.1 percent on a fully phased-in basis. During the third quarter, the company repurchased $581 million or 30.6 million shares of common stock through open market purchases and declared $148 million in dividends to common shareholders. On August 27, 2018, the company entered into an accelerated share repurchase agreement to repurchase an additional $700 million of its common stock and received an initial delivery of 29.1 million shares. The final settlement of the transaction is scheduled to occur prior to year-end. The company’s loan-to-deposit ratio at the end of the quarter was 88 percent, and as of quarter-end, the company remained fully compliant with the liquidity coverage ratio rule. (2) Current quarter Basel III common equity Tier 1, and Tier 1 capital ratios are estimated. A replay of the earnings call will be available beginning Tuesday, October 23, 2018, at 2 p.m. ET through Friday, November 23, 2018. To listen by telephone, please dial 1-855-859-2056, and use access code 8039849. An archived webcast will also be available on the Investor Relations page of www.regions.com. Current and future economic and market conditions in the United States generally or in the communities we serve, including the effects of possible declines in property values, increases in unemployment rates and potential reductions of economic growth, which may adversely affect our lending and other businesses and our financial results and conditions. Possible changes in trade, monetary and fiscal policies of, and other activities undertaken by, governments, agencies, central banks and similar organizations, which could have a material adverse effect on our earnings. The effects of a possible downgrade in the U.S. government’s sovereign credit rating or outlook, which could result in risks to us and general economic conditions that we are not able to predict. Possible changes in market interest rates or capital markets could adversely affect our revenue and expense, the value of assets and obligations, and the availability and cost of capital and liquidity. Any impairment of our goodwill or other intangibles, any repricing of assets, or any adjustment of valuation allowances on our deferred tax assets due to changes in law, adverse changes in the economic environment, declining operations of the reporting unit or other factors. The effect of changes in tax laws, including the effect of Tax Reform and any future interpretations of or amendments to Tax Reform, which may impact our earnings, capital ratios and our ability to return capital to shareholders. Possible changes in the creditworthiness of customers and the possible impairment of the collectability of loans and leases, including operating leases. Changes in the speed of loan prepayments, loan origination and sale volumes, charge-offs, loan loss provisions or actual loan losses where our allowance for loan losses may not be adequate to cover our eventual losses. Possible acceleration of prepayments on mortgage-backed securities due to low interest rates, and the related acceleration of premium amortization on those securities. Loss of customer checking and savings account deposits as customers pursue other, higher-yield investments, which could increase our funding costs. Possible changes in consumer and business spending and saving habits and the related effect on our ability to increase assets and to attract deposits, which could adversely affect our net income. Our ability to effectively compete with other traditional and non-traditional financial services companies, some of whom possess greater financial resources than we do or are subject to different regulatory standards than we are. Our inability to develop and gain acceptance from current and prospective customers for new products and services and the enhancement of existing products and services to meet customers’ needs and respond to emerging technological trends in a timely manner could have a negative impact on our revenue. Our inability to keep pace with technological changes could result in losing business to competitors. Changes in laws and regulations affecting our businesses, including legislation and regulations relating to bank products and services, as well as changes in the enforcement and interpretation of such laws and regulations by applicable governmental and self-regulatory agencies, which could require us to change certain business practices, increase compliance risk, reduce our revenue, impose additional costs on us, or otherwise negatively affect our businesses. Our ability to obtain a regulatory non-objection (as part of the CCAR process or otherwise) to take certain capital actions, including paying dividends and any plans to increase common stock dividends, repurchase common stock under current or future programs, or redeem preferred stock or other regulatory capital instruments, may impact our ability to return capital to stockholders and market perceptions of us. Our ability to comply with stress testing and capital planning requirements (as part of the CCAR process or otherwise) may continue to require a significant investment of our managerial resources due to the importance and intensity of such tests and requirements. Our ability to comply with applicable capital and liquidity requirements (including, among other things, the Basel III capital standards and the LCR rule), including our ability to generate capital internally or raise capital on favorable terms, and if we fail to meet requirements, our financial condition could be negatively impacted. The effects of any developments, changes or actions relating to any litigation or regulatory proceedings brought against us or any of our subsidiaries. The costs, including possibly incurring fines, penalties, or other negative effects (including reputational harm) of any adverse judicial, administrative, or arbitral rulings or proceedings, regulatory enforcement actions, or other legal actions to which we or any of our subsidiaries are a party, and which may adversely affect our results. Our ability to manage fluctuations in the value of assets and liabilities and off-balance sheet exposure so as to maintain sufficient capital and liquidity to support our business. Our ability to execute on our strategic and operational plans, including our ability to fully realize the financial and non-financial benefits relating to our strategic initiatives. The risks and uncertainties related to our acquisition or divestiture of businesses. The success of our marketing efforts in attracting and retaining customers. Our ability to recruit and retain talented and experienced personnel to assist in the development, management and operation of our products and services may be affected by changes in laws and regulations in effect from time to time. Any inaccurate or incomplete information provided to us by our customers or counterparties. Inability of our framework to manage risks associated with our business such as credit risk and operational risk, including third-party vendors and other service providers, which could, among other things, result in a breach of operating or security systems as a result of a cyber attack or similar act or failure to deliver our services effectively. Dependence on key suppliers or vendors to obtain equipment and other supplies for our business on acceptable terms. The inability of our internal controls and procedures to prevent, detect or mitigate any material errors or fraudulent acts. The effects of geopolitical instability, including wars, conflicts and terrorist attacks and the potential impact, directly or indirectly, on our businesses. The effects of man-made and natural disasters, including fires, floods, droughts, tornadoes, hurricanes, and environmental damage, which may negatively affect our operations and/or our loan portfolios and increase our cost of conducting business. Changes in commodity market prices and conditions could adversely affect the cash flows of our borrowers operating in industries that are impacted by changes in commodity prices (including businesses indirectly impacted by commodities prices such as businesses that transport commodities or manufacture equipment used in the production of commodities), which could impair their ability to service any loans outstanding to them and/or reduce demand for loans in those industries. Our ability to identify and address cyber-security risks such as data security breaches, malware, “denial of service” attacks, “hacking” and identity theft, a failure of which could disrupt our business and result in the disclosure of and/or misuse or misappropriation of confidential or proprietary information, disruption or damage to our systems, increased costs, losses, or adverse effects to our reputation. Our ability to realize our adjusted efficiency ratio target as part of our expense management initiatives. Possible downgrades in our credit ratings or outlook could increase the costs of funding from capital markets. The effects of problems encountered by other financial institutions that adversely affect us or the banking industry generally could require us to change certain business practices, reduce our revenue, impose additional costs on us, or otherwise negatively affect our businesses. The effects of the failure of any component of our business infrastructure provided by a third party could disrupt our businesses, result in the disclosure of and/or misuse of confidential information or proprietary information, increase our costs, negatively affect our reputation, and cause losses. Our ability to receive dividends from our subsidiaries could affect our liquidity and ability to pay dividends to stockholders. Changes in accounting policies or procedures as may be required by the FASB or other regulatory agencies could materially affect how we report our financial results. Other risks identified from time to time in reports that we file with the SEC. Fluctuations in the price of our common stock and inability to complete stock repurchases in the time frame and/or on the terms anticipated. The foregoing list of factors is not exhaustive. For discussion of these and other factors that may cause actual results to differ from expectations, look under the captions “Forward-Looking Statements” and “Risk Factors” of Regions’ Annual Report on Form 10-K for the year ended December 31, 2017 as filed with the SEC. The words “future,” “anticipates,” “assumes,” “intends,” “plans,” “seeks,” “believes,” “predicts,” “potential,” “objectives,” “estimates,” “expects,” “targets,” “projects,” “outlook,” “forecast,” “would,” “will,” “may,” “might,” “could,” “should,” “can,” and similar terms and expressions often signify forward-looking statements. You should not place undue reliance on any forward-looking statements, which speak only as of the date made. Factors or events that could cause our actual results to differ may emerge from time to time, and it is not possible to predict all of them. We assume no obligation and do not intend to update or revise any forward-looking statements that are made from time to time, either as a result of future developments, new information or otherwise, except as may be required by law. 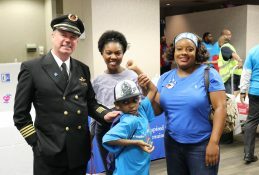 Regions’ Investor Relations contact is Dana Nolan at (205) 264-7040; Regions’ Media contact is Evelyn Mitchell at (205) 264-4551. Management uses pre-tax pre-provision income (non-GAAP) and adjusted pre-tax pre-provision income (non-GAAP), as well as the adjusted efficiency ratio (non-GAAP) and the adjusted fee income ratio (non-GAAP) to monitor performance and believes these measures provide meaningful information to investors. Non-interest expense (GAAP) is presented excluding certain adjustments to arrive at adjusted non-interest expense (non-GAAP), which is the numerator for the efficiency ratio. Net interest income and other financing income (GAAP) is presented excluding certain adjustments related to tax reform to arrive at adjusted net interest income and other financing income (non-GAAP). Non-interest income (GAAP) is presented excluding certain adjustments to arrive at adjusted non-interest income (non-GAAP), which is the numerator for the fee income ratio. Adjusted non-interest income (non-GAAP) and adjusted non-interest expense (non-GAAP) are used to determine adjusted pre-tax pre-provision income (non-GAAP). Net interest income and other financing income (GAAP) on a taxable-equivalent basis and non-interest income are added together to arrive at total revenue on a taxable-equivalent basis. Net interest income and other financing income on a taxable-equivalent basis is presented excluding certain adjustments related to tax reform to arrive at adjusted net interest income and other financing income on a taxable-equivalent basis (non-GAAP). Adjustments are made to arrive at adjusted total revenue on a taxable-equivalent basis (non-GAAP), which is the denominator for the fee income and efficiency ratios. Regions believes that the exclusion of these adjustments provides a meaningful base for period-to-period comparisons, which management believes will assist investors in analyzing the operating results of the Company and predicting future performance. These non-GAAP financial measures are also used by management to assess the performance of Regions’ business. It is possible that the activities related to the adjustments may recur; however, management does not consider the activities related to the adjustments to be indications of ongoing operations. Regions believes that presentation of these non-GAAP financial measures will permit investors to assess the performance of the Company on the same basis as that applied by management. Tangible common stockholders’ equity ratios have become a focus of some investors and management believes they may assist investors in analyzing the capital position of the Company absent the effects of intangible assets and preferred stock. Analysts and banking regulators have assessed Regions’ capital adequacy using the tangible common stockholders’ equity measure. Because tangible common stockholders’ equity is not formally defined by GAAP or prescribed in any amount by federal banking regulations it is currently considered to be a non-GAAP financial measure and other entities may calculate it differently than Regions’ disclosed calculations. Since analysts and banking regulators may assess Regions’ capital adequacy using tangible common stockholders’ equity, management believes that it is useful to provide investors the ability to assess Regions’ capital adequacy on this same basis. The calculation of the fully phased-in pro-forma “Common equity Tier 1” (CET1) is based on Regions’ understanding of the Final Basel III requirements. For Regions, the Basel III framework became effective on a phased-in approach starting in 2015 with full implementation beginning in 2019. The calculation includes estimated pro-forma amounts for the ratio on a fully phased-in basis. Regions’ current understanding of the final framework includes certain assumptions, including the Company’s interpretation of the requirements, and informal feedback received through the regulatory process. Regions’ understanding of the framework is evolving and will likely change as analysis and discussions with regulators continue. Because Regions is not currently subject to the fully-phased in capital rules, this pro-forma measure is considered to be a non-GAAP financial measure, and other entities may calculate it differently from Regions’ disclosed calculation. A company’s regulatory capital is often expressed as a percentage of risk-weighted assets. Under the risk-based capital framework, a company’s balance sheet assets and credit equivalent amounts of off-balance sheet items are assigned to broad risk categories. The aggregated dollar amount in each category is then multiplied by the prescribed risk-weighted percentage. The resulting weighted values from each of the categories are added together and this sum is the risk-weighted assets total that, as adjusted, comprises the denominator of certain risk-based capital ratios. CET1 capital is then divided by this denominator (risk-weighted assets) to determine the CET1 capital ratio. The amounts disclosed as risk-weighted assets are calculated consistent with banking regulatory requirements on a fully phased-in basis. Non-GAAP financial measures have inherent limitations, are not required to be uniformly applied and are not audited. Although these non-GAAP financial measures are frequently used by stakeholders in the evaluation of a company, they have limitations as analytical tools, and should not be considered in isolation, or as a substitute for analyses of results as reported under GAAP. In particular, a measure of earnings that excludes selected items does not represent the amount that effectively accrues directly to stockholders.